I help people with their real estate dreams! Service drives me as a REALTOR® and brings me joy as a person. Before I embarked on my journey in this business, I was blessed to have the rich experience of developing and managing senior housing communities. I feel a deep compassion for the elderly and advocating on their behalf. Serving them has added much to my life and taught me valuable lessons I use daily in my work as a REALTOR® to help my clients in the Iowa City real estate market. Julie Dancer has just been named as the newest Partner-Owner of LKR. Dancer has been a licensed REALTOR® since 2001, consistently ranked in the top 3% of Iowa City metro area REALTORS®. She has more than twenty years’ experience in healthcare sales and marketing. “We wanted to bring Julie on as a Partner-Owner because we believe it will help LKR and the clients we serve. 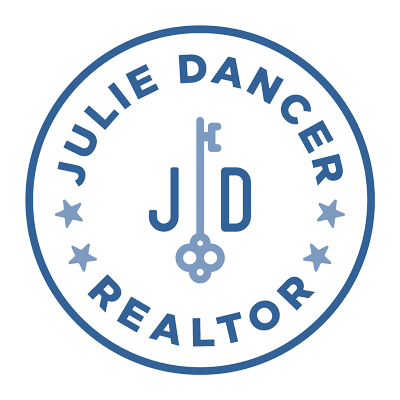 Julie is extremely dedicated, energetic and focused on both her clients and the LKR family. She will be a valuable asset to LKR’s long-term success. We’re excited about her taking on more formal leadership here,” said Mike Jensen, about the decision. Julie is the mother to Jens, Jonah, Jae and Jack, a specialist in the Iowa City real estate market, a Partner at Keystone Place at Forevergreen, involved in local and international service organizations, and a friend to all. Memberships, Qualifications and Awards Oh My! Business degree and Spanish minor from the University of Iowa, Iowa City, IA. Consistently ranked in top 3% of REALTORSⓇ within the Iowa City real estate metro area. Whether buying or selling, I will make this a positive experience! You need someone who is not only skilled and experienced, but can walk you through the process with the same care and compassion of a family member. As a mother of four, I have learned to be patient and how to keep things moving forward! These are big decisions and I want you to be confident in making them. Whether you’re a first time home buyer or selling the house you’ve lived in your entire life, I will listen to you. And with over 20 years of experience, I will guide you through this process to exceptional results. I believe communication is critical and I promise to deliver clear, honest and timely answers to any questions you may have. I love to help my clients envision, discover and then buy their dream home. I’ve always been drawn to first time home buyers and I am passionate about making their hopes a reality. It is an exciting time, but at times, overwhelming. You need someone who is confident, loyal, and skilled at the art of negotiation. I am there for you and will always do my best. I have over 20 years of sales and marketing experience and have been a licensed REALTOR® since 2001. I proudly represent Lepic-Kroeger, REALTORS® (LKR) and am consistently ranked in the top 3% of REALTORS® in the Iowa City metro. My prior experience as a Marketing and Sales Director to VP of Operations prepared me for the business and negotiating aspects of real estate, as well as the art of advocating for buyers and sellers in their retirement years. I also proudly and successfully launched 11 startup healthcare facilities (from $1 million to $25 million) and served more than 5000 clients. I was born and raised in the Cedar Rapids/Iowa City area, and love serving this community! Ricardo helps with researching competitive market data, organizing house tours, and gathering closing documents. Jeff became an Owner/Partner at Lepic-Kroeger, REALTORS® in 2011 and has over 23 years of industry experience. In 2014, Mike became a partner in Lepic-Kroeger, REALTORS® and is proud to be a part of a locally owned Iowa City company. Rich is the currently the Designated Broker and General Manager for Lepic-Kroeger, REALTORS®. Jason has over 17 years of real estate experience and currently oversees the closing department for Lepic-Kroeger. Heather started with LKR in 2018 and works as the Marketing and Communications Director. Nancy Willis has been a real estate attorney for over 35 years and has personally conducted over 10,000 real estate closings. With over 13 years of mortgage lending experience to offer, Pete has helped people from every background achieve their home ownership goals.